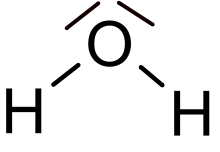 Hydrogen polyoxides (also known as oxidanes, oxohydrogens, or oxyhydrogens) are chemical compounds that consist only of hydrogen and oxygen atoms, are bonded exclusively by single bonds (i.e., they are saturated), and are acyclic (have molecular structures containing no cycles or loops). They can, therefore, be classed as hydrogen chalcogenides. n in which the members differ by a constant relative molecular mass of 16 (the mass of each additional oxygen atom). 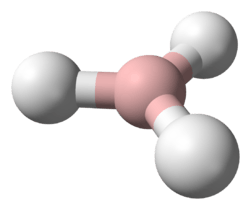 The number of oxygen atoms is used to define the size of the hydrogen polyoxide (e.g., hydrogen pentoxide contains a five-oxygen backbone). An oxidanyl group is a functional group or side-chain, that like a hydrogen polyoxide, consists solely of single-bonded oxygen and hydrogen atoms: for example, a hydroxy (oxidyl) or hydroperoxy (dioxidanyl) group. Hydrogen polyoxides containing up to five oxygen atoms have been produced experimentally. Water (H2O) is the most common hydrogen polyoxide, occurring widely on Earth's surface. 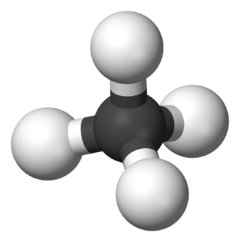 Hydrogen peroxide (H2O2) is a common disinfectant and readily decomposes to form water and oxygen. 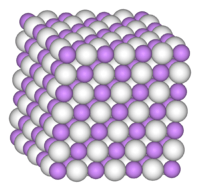 Trioxidane (H2O3) is rare and readily decomposes into water and singlet oxygen. Hydrogen tetroxide (H2O4) has been synthesized by reaction among peroxy radicals at low temperature. Hydrogen pentoxide (H2O5) is a byproduct of trioxidane production and has also been synthesized by reaction among peroxy radicals at low temperature. Hydrogen polyoxides containing up to 10 oxygen atoms have been studied theoretically, but those containing more than five oxygens are expected to be extremely unstable. All the hydrogen polyoxides are known or expected to autoionise when in liquid form, with the acidic hydrogen being solvated by other of the neutral polyoxide molecule(s).